edX online learning for free from some of the best schools in the country. Michigan State Rep. Charles Brunner, D-Bay City, and Michigan State Sen. Judy Emmons, R-Sheridan, have received the Excellence in Education Award at the 14th annual AT&T/MACUL/TRIG Student Technology Showcase. The award is given to legislators who have been dedicated to improving the Michigan educational system, and was presented by AT&T, the Michigan Association for Computer Users in Learning and TRIG. Emmons is a mid-Michigan native representing the 33rd Senate District which includes four counties: Clinton, Ionia, Isabella, and Montcalm. Brunner was first elected to the state House in 2010 and represents the 96th District, covering the majority of Bay County. The AT&T/MACUL/TRIG Student Technology Showcase featured technology displays from 35 schools statewide during three separate sessions. Exhibits were set up in the halls of the Capitol so that students could provide legislators with hands-on demonstrations to show how technology is being used in the classroom to enhance learning. Here is a short list of online lesson planning tools. I will try to find more and update this list as I find them. Also if you would consider adding some to the comment section for tools that you feel others would be interested in. Alternatively you can send me an email with a link to online lesson planning tools that you would like to recommend. Erate and Michigan what will this mean to your school district. E-Rate from TRIG on Vimeo. Data 1 from TRIG on Vimeo. Proposed Technology Planning Process from TRIG on Vimeo. At the start of the 2013-14 school year, Los Angeles Unified School District embarked on an innovative and admirable journey: Through a $1 billion contract with Apple, the nation's second largest district planned to equip each of its 640,000 students with their very own iPad. It was an ambitiously massive 1:1 rollout, and it was unfortunately anything but smooth. Issues ranged from a lack of necessary accessories like keyboards to students "hacking" the iPads by deleting security profiles. Eventually, the decision was made to roll back the project's completion date, and then, in August, former LAUSD Superintendent John Deasy announced that the contract with Apple would be annulled. Things got even weirder in October, when Deasy resigned amid swirling rumors that there were conflicts of interest surrounding the Apple deal. This past week, the FBI commenced an investigation into the failed, and possibly unethical, plan, focusing particularly on the potentially unorthodox bidding. According to the Los Angeles Times, top LAUSD officials, such as Deasy, may have had connections with both Apple and Pearson, which in turn influenced the monumental iPad deal. It will be interesting to keep tabs on this story and find out if there really was any foul play in the negotiation process. The LAUSD/Apple deal was poised to set a precedent for other districts, so its failures could be a great place to start when considering what not to do in the future. There should be further investigation on price fixing by Apple. They are charging education more then the general public. They are strong arming vendors as Box stores and online vendors not to sell at a discount to education threatening to take there authorization to sell their product if they do. Michigan REMC has the ability to challenge them on these practices. They could not allow them to participate in there bid process if they continue to price fix. But REMC continues to look the other way. 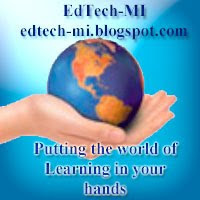 Michigan Google Training in March 9-10, 2015 in Bay City. An Introduction to Poll Everywhere and how it can be used in education. 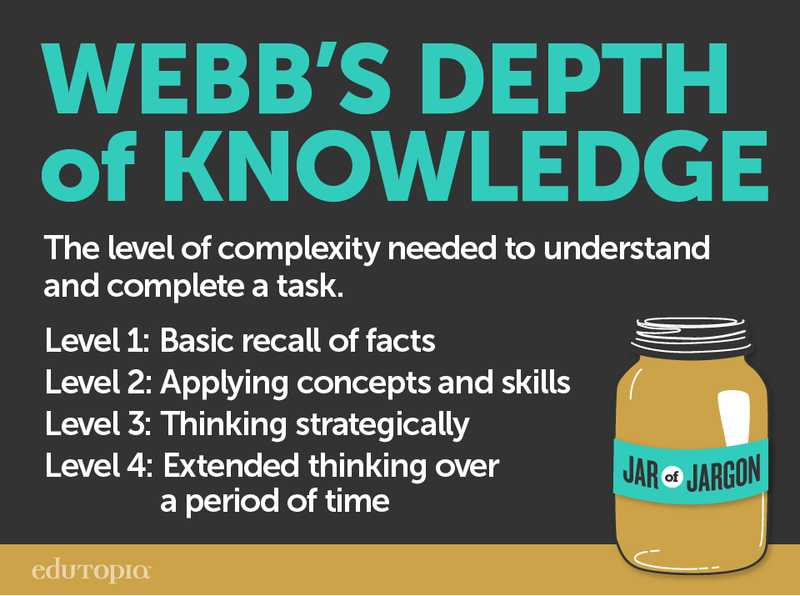 What does depth of knowledge look like in education. Michael Horn presents "Is K-12 Blended Learning Disruptive?" This is a one minute quick overview of the Moodle learning platform. If you ever need to explain quickly to someone what Moodle is - share this video! This video has had a lot of “air time” in education circles this past week. It’s been described as humorous, as thought provoking, even heretical in some circles. Regardless of how accurate you perceive the video’s main thesis to be (you could argue that some technology has revolutionized how we think about education), the basic sentiment is dead on. There exists a constant stream of new gadgets, gizmos, and learning platforms that tech evangelists claim to be the “silver bullet” that will solve all of our educational problems. We make claims about technology that on face value are sound, but when held up to greater scrutiny are patently ridiculous; how often have you seen “kids today learn different than the way we learned” plastered in bold letters on a keynote slide at a conference? Learners today learn no differently then how we’ve always learned as a species; making, building, tinkering, exploring, testing, failing, reflecting, and ultimately synthesizing greater knowledge out of pre-existing knowledge and new experiences. The most exciting point in this video is the “evolutionary” nature of technology in education. Technology will continue to transform how we demonstrate and communicate our inner thought processes to others, but the learning will always be an internal, cognitive act. We still learn in small groups, with a teacher or facilitator to guide and inspire learners because thousands upon thousands of years of human development has led us to an understanding that shared experiences gives us a common reference point to build new knowledge upon; we pass down stories from antiquity and our religious and cultural ancestry. We value the connection we have with the past, and attempt to build new understanding through metaphors that link back to our previous cultural, religious, and societal touchstones. We still strive to find relevance in the Bible, the Torah, the Quran, and base theories of the universe on mathematical and philosophical texts written hundreds of years ago. Thousands of years of thought has taught us that the learning process is messy! The exact opposite of what technology is designed to do. Most technology is designed to help streamline, codify, and create more efficient paths to learning, growth, and understanding. In many small ways it helps, but when technology excels at creating linear paths to new understanding, it can ultimately diffuse and disarm the engaging and messy learning that inspires us. If you read through the comments on this video on Youtube you’ll find several fascinating conversations of individuals who were disillusioned for one reason or another with their educational experience. It doesn’t fall on technology to inspire and engage us, it falls upon the understanding and ability of the teacher to manipulate the learning environment and create opportunities that speak to the individual needs of their learners; needs that may change on a day to day, or even hourly basis, depending on the individual. Technology will never afford the same “swiss army knife” like tool that is the human mind, able to adapt to a wide variety of needs, one of which might include the need to turn off the technology for a particular learning experience. There may exist a time when technology affords us the ability to articulate and communicate our own internal thought processes in a way that is universally understood, but until that point in time, the only revolution that is needed is one of educational practice and delivery. And even that, technology cannot help, as the impetus for change must exist within the minds of those at the front of the classroom. Meet Moto 360, a classic timepiece powered by Android Wear. Get a sneak peek at just some of the functionalities of Moto 360 in a demo we are giving at this year's Google I/O. This video shows why memorizing facts in a thing of the past. In the future we will need to use some of the 5 intelligence for the future as described by Howard Gardener. We will need to teach emotional intelligence and not just intellectual intelligence. This video of the Google Moto 360 demonstrated how the star trek tele-communicator is her today. Litton Entertainment and The Henry Ford present "Innovation Nation," a weekly celebration of the inventor's spirit, from historic innovators of past centuries to the forward-looking visionaries of today. Premiering this September on CBS. Rosenstock is one of the co-founders of High Tech High, a group of charter schools that’s lauded as a model example of how formal education can embrace inquiry-based, truly student-driven, project-based learning. For Rosenstock, the way to a student’s motivation is through his heart, and through high expectations. Read more about High Tech High’s initiative in the Deeper Learning movement. I would totally agree with Larry Rosenstock, I was one of these students and was told by a counselor at my school that I was not college material. Lucky I did not listen, I did take an alternative route but end up finishing a master degree program and not have dedicate much of my life helping all student to find there passion in learning and to become what they want to become and to find there dream. At 2Revolutions, we are partnering with forward-thinking governments, funders, nonprofits and entrepreneurs to innovate across the human capital continuum - to ensure that each learner can be successful on the path he or she chooses. We design and launch Future of Learning models, and help catalyze the conditions within which they can thrive. If you are involved -- or want to become involved -- in building the Future of Learning, we hope you'll reach out. Come check us out at www.2revolutions.net. Applying the SAMR model to build your blended learning environment. This movie is property of Chesterfield County Public Schools, in Chesterfield, VA. It may be reused for educational purposes. In March, 1994, Michigan residents considered a referendum, entitled Proposal A. Inclusive in Proposal A was a new mix of tax changes that would provide funding for Michigan schools. Different from previous proposals, voters in 1994 were not able to keep the status quo, should they have voted against Proposal A. Instead, they were asked essentially to decide between an increase in the sales tax rate (Proposal A) or increase the income tax rate if Proposal A failed (Statutory Plan). Indeed, Michigan’s residents in 1994 approved Proposal A, changing the formula for funding public education from property taxes to a 2% sales tax on consumable purchases. Before Proposal A, Michigan’s property tax burden was more than 33 percent above the national average with the sales tax 32 percent below the national average. Since then, Michigan’s residents and businesses have seen large decreases in the millage rates assessed on their property. In 1993, the average statewide millage rate for all property was 56.64 mills. In 2000, the statewide average homestead millage rate was 31.54 mills and the non-homestead rate was 50.10 mills. Clearly, these were big, mutually beneficial changes, with school districts realizing more equitable funding (the funding ratio between the highest and lowest funded school districts went from 3:1 to 2:1) and property owners benefiting with decreased taxes. Twenty years ago, these were much needed adjustments to taxes. Without question, in Michigan, our votes count. We go to the polls to voice our perspectives on many issues ranging from our representation in Lansing to our opinions on taxation. It’s essential that, when options come before us, we vote. When we do so, our government must listen. Yet, within the current lame-duck legislative session, House Speaker, Jace Bolger, is floating a plan to repeal the 6 percent sales tax on gasoline and replace it with a tax on the wholesale price of fuel. This is estimated to reduce public school funding by more than $600 million per year, or over $400 per student. Seemingly, the Legislature has the power to make the move — unlike other sales tax road proposals that require voter approval under the state Constitution. Recently, I had a conversation with a preschool teacher who shared with me how her students had worked together through a difficult situation related to their classroom rules, necessary to ensure student safety, security, and happiness. When asked for ideas of what to do for children who do not follow the rules, the class could not come up with a consequence, and they responded that in fact they fully intend for everyone to follow the rules--especially their leaders. Their reasoning? “Everyone just has to follow the rules because the students in the class made these rules.” In so doing, they collectively decided what was best for the class and everyone in it. There are no exceptions. To not follow the rules is not an option. The rules are for the class, created by the class, and a shared expectation of everyone in the class. How is our legislature any different? How can the people of Michigan voice their opinion on public school funding via a statewide referendum and then have the legislature unilaterally overturn it twenty years later? This seems as undemocratic to me as breaking the collectively agreed upon rules do to a classroom of four-year olds. There’s no question that Michigan’s roads and bridges are broken. Safe roads matter greatly to everyone. We need a solution. Diverting public school funding to fix the roads is not a solution. Instead, it creates deeper potholes, destabilization of bridges to the future for Michigan’s children, and cuts to essential programs and services.